Red Theater Chicago [RTC] was built by founders Kim Chelf and Aaron Sawyer in the summer of 2012. RTC’s first season consisted of the Chicago premiere of Bertolt Brecht’s Schweyk in the Second World War and of Aaron Sawyer’s co-written script Red Hamlet. R+J: The Vineyard changed the face of Chicago Theater with it's radical inclusiveness of d/Deaf and/or disabled performers, and much acclaim has been garnered to other risk-taking productions including Joseph Jefferson Awards for Taste (Best Actor) and The Elaborate Entrance of Chad Deity (Best Fight Choreography). Red Theater Purchase [RTP] was created by Omaha member Colin Ferguson and Kaitlyn Bestenheider in September of 2013. It continues to create controversial productions as well as top playwrights and performers to this day. Red Theater Lincoln [RTL] was founded in Lincoln, Nebraska after a bar fight in the summer of 2008 (okay, a heated semantic discussion) between Theron Seckington and Aaron Sawyer about the aesthetic virtues of theatre over film (and vice-versa). The Collective’s first performance was in December 2008 at the University of Nebraska-Lincoln. It survives to this day. Red Theater Tucson [RTT] was created by Marissa Boyle and Jackie Mendenhall in November of 2015. It performed once and closed in 2016 with the move of key members. Red Theater Omaha [RTO] was built by founders Gage Wallace and Aaron Sawyer on the enthusiasm of the RTO Artistic Director, Jeremy Short, and the experience of Lincoln founding member, Sara Tangdall. RTO’s first performance was in August, 2010. The company ambitiously performed throughout the city until it closed in 2017. 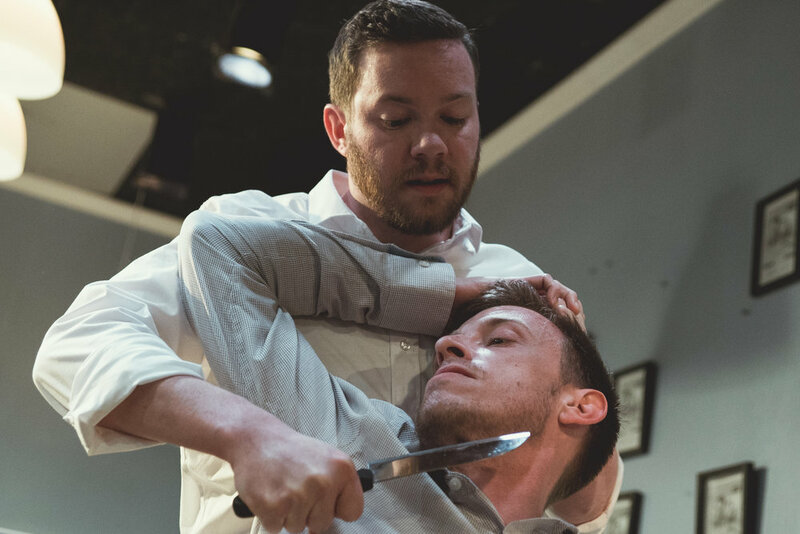 Chicago premieres include Taste by Benjamin Brand (Jeff Award for Best Actor), and the World Premiere of the deaf/hearing bilingual play R+J: The Vineyard; which was named a Top 10 show in 2015 by The Chicago Reader. Red Theater also produced the Chicago Premiere of Bertolt Brecht’s Schweyk in the Second World War and Red Hamlet by Aaron Sawyer. The Chicago Tribune heralded The Elaborate Entrance of Chad Deity (Jeff Award Best Fight Choreography) as a Top Ten production of 2017 and featured R+J: The Vineyard as a model production in their “Resolution for Theater in 2016”. Theatre by the Numbers has awarded Red productions as “Top Five” in 2015 and 2017. Our work has been featured in publications such as American Theater Magazine, the Chicago Reader, and Gallaudet University’s First Folio exhibition.